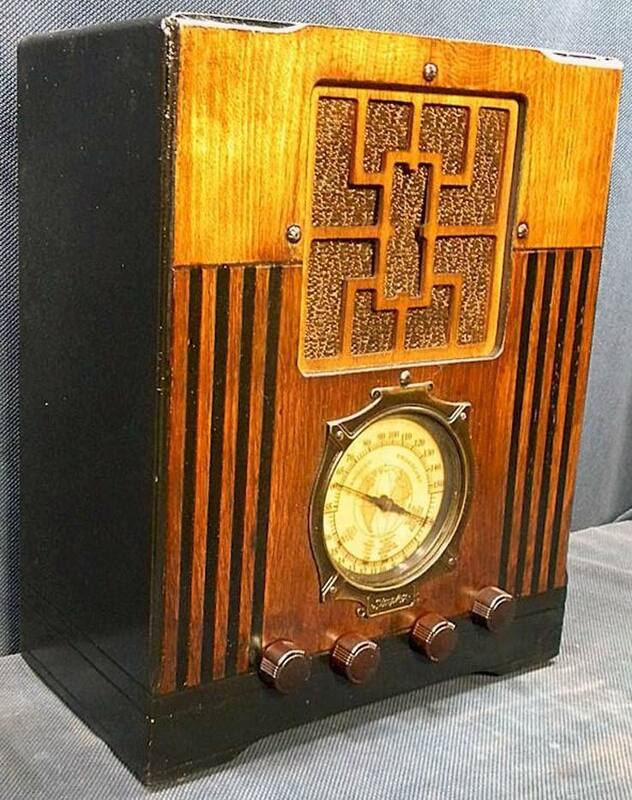 I was cruising eBay randomly the other day and made an incredibly lucky find…a 1934 Simplex Model P Dual Band tombstone radio had just been listed. I have a pretty low maximum that I’m willing to pay for any radio, as I only buy fixer-uppers and not completed radios, so don’t buy them all that often but this one jumped out at me. It’s dirty, as can be clearly seen in the photos. It could use some attention on the trim, but the finish is in pretty decent shape; there are some veneer issues on the bottom as well that will be a new skill to learn about fixing for me. And the knobs are wrong. Electrically, it’s your standard 1930s “Parallel AA5” design: 6A7 6D6 75 42 80. But, it has a lot of potential once it’s cleaned up and fixed up and will display very nicely. This one makes the cut on the display shelf, so I’ll be fixing it up sooner than later. 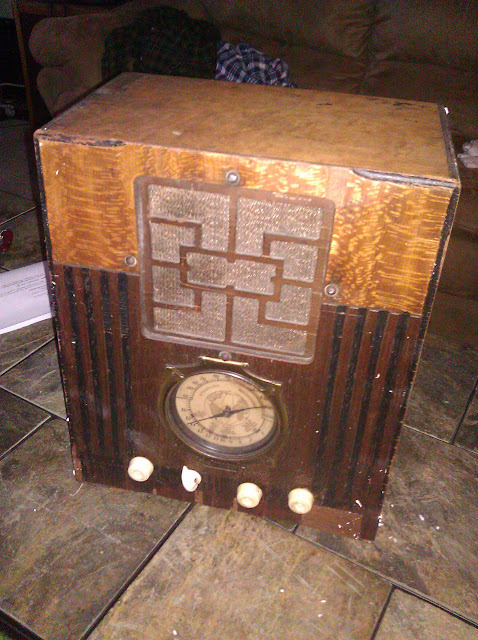 This entry was posted in Collections, Photos, Projects, Radios and Tubes, Vintage and tagged 1934, antique radio, model p, simplex, tube radio. Bookmark the permalink.